n this article I’ll go through the ACI equivalent, which is creating tenants, contexts, and bridge domains that will help us get ACI up and running. 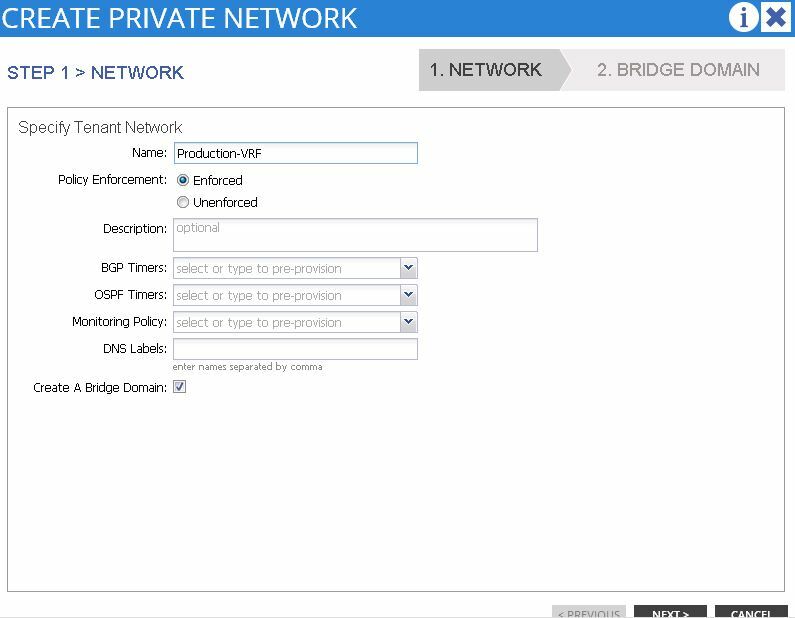 Cisco ACI has a few basic network constructs that need to be created when first being set up. This could be considered more of a day 1 setup and then something you may not need to do again. If you’re familiar with Cisco UCS, it’s akin to creating pools and then creating service profiles with those pools. In this article I’ll go through the ACI equivalent, which is creating tenants, contexts, and bridge domains that will help us get ACI up and running. I’ve already covered creating tenants in a previous blog found here. To read more please click here.